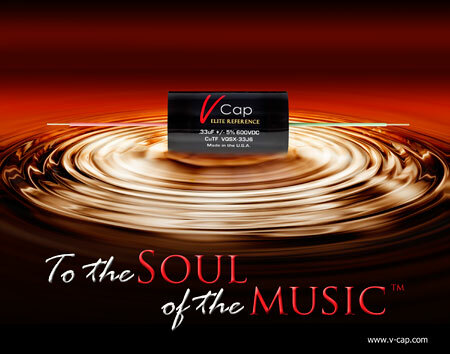 The journey to develop the V-Cap CuTF (Copper Foil Fluoropolymer Film) series was inspired by my obsession to tap into that special magic found in the soul of the music. Too often, passive components strip the color from the performance, or add colorations of their own. Cold, sterile, lifeless sound with flat response to bat's ears doesn't get us there. Nor does fat, bloated, "Let's make a new kind of ugly" sound either. We audiophiles have many names for it; pace, rhythm, timing, swing, etc... But there really aren't words to describe the near out-of-body experience we get when we are connected to the soul of the music. That's our Holy Grail- our pot of gold at the end of the proverbial rainbow. Of course, gold is never found at the end of a rainbow. You must prospect for it, and do a whole lot of digging. We have. 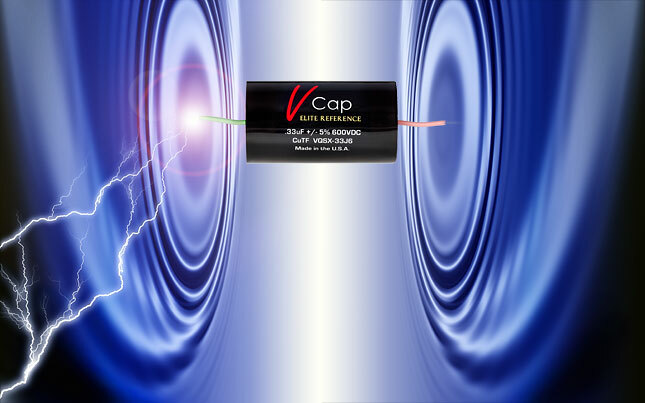 After nearly 5 years of R&D, I am pleased to announce the new V-Cap CuTF series- an audio signal capacitor that will take you to the soul of the music...™. Early on, we were convinced that one of the keys to better performance would require the use of pure copper foil. However, five years ago, the copper foil of the purity and precision needed to make the capacitor we envisioned, just didn't exist. When we found it, the resultant domino effect led us on a journey that would reexamine ALL current processes and materials, and work with our vendors to explore even better ways of constructing an audio capacitor. While they must remain anonymous, we'd like to extend our sincere gratitude to all of the individuals who contributed to the development of this new V-Cap. From the engineers, production staff, and dedicated master winders, to the musicians, recording engineers and audiophile beta testers who generously donated their time and effort to evaluate this new series- YOU are part of this new V-Cap's heart and sou. Thank you. Celestial foil rolled on the thighs of Supermodels? Lead material: 18 AWG solid core high purity OCC (Ohno Continuous Cast) copper with VH Audio’s AirLok insulation- a proprietary form of foamed/cellular Fluoropolymer with a Dieletric Coefficient of less than 1.45. Pure Fluoropolymer film dielectric. Cheaper forms of PTFE and FEP can be sourced (some cast, some skieved), and we tried them all. "You get what you pay for" was especially true when it comes to sourcing Fluoropolymer, based on our listening tests. Oxygen Free High Conductivity copper foil ( IACS of 101%). Our copper foil is rolled to extremely tight tolerances using state-of-the-art machinery and computerized electronics that constantly monitors the foil in real-time, and makes corrections while the material is being rolled. Even the rollers are machined in-house to ensure a smooth and consistent surface finish. This quality and precision is unmatched by any other company in the world. The copper foil is dead-soft annealed in an inert atmosphere, and treated with an anti-oxidant bath before being slit with blades that might rival the edge of a Hanzo sword. The copper foil is vacuum packed before undergoing our proprietary Cryogenic treatment process (below -300 degrees F) . We’re not talking about throwing some copper out in the Frozen Tundra overnight, but rather a $50,000+ state-of-the-art machine that uses custom profiles, and molecular kinetics to avoid any thermal shock to the material. Fluoropolymer film slitting is performed in-house, which means better control over environmental cleanliness, as well as frequent renewal of the slitting blades. You won't find a messy guy with a butterknife anywhere near our film. The winding process is performed in a clean, controlled environment on custom, internally-built manual winding machines. A select group of dedicated Master Winders (averaging over 14 years of experience) perform the winding operation with meticulous attention to every detail. Their pride of workmanship is simply unmatched, anywhere. A new lead attachment technique was developed to maximize contact surface area with the winding and keep ESR astonishingly low, and extremely consistent from part to part. The core of the capacitor has been engineered to optimize the structural integrity of the winding, as well as to address internal resonances that may smear the audio signal. 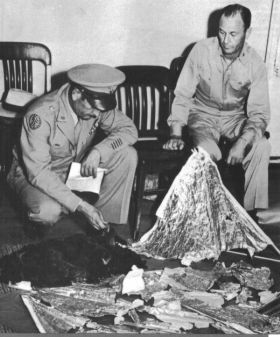 Dimensional ratios were carefully chosen for each value, based on listening tests specific to this construction type. Capacitor end fill was carefully evaluated, based on sonics, as well as its long term inertness and mechanical stability. The end fill process itself is quite lengthy and requires numerous steps that were perfected over years of experimentation. At several checkpoints during the construction process, every capacitor is tested to meet several critical electrical measurements and mechanical inspection criteria. No simple "batch testing" is performed- it's not good enough. An extensive, rigorous testing and burn-in protocol was developed to ensure the highest performance and reliability in the extreme environment found inside equipment that uses vacuum tubes. The sheer number and extensiveness of these electrical tests is well beyond industry standards. Every V-Cap capacitor is inspected, tested, and pushed to the edge of extreme conditions, to simulate the harsh environments commonly found in tubed electronics. This ensures long life, reliability, and the ultimate in performance. In fact, V-Cap capacitors are manufactured to such high standards, they are backed by a lifetime warranty to the original purchaser. Prices are in U.S. dollars, and based on total pieces of an individual value/voltage. * "V-Cap", "CuTF", "TFTF", "OIMP", "Reference Grade", "Elite Reference", "to the Soul of the Music..." and "Variable Stage Quadrant Dielectric" are trademarks of VH Audio, Inc.